Robbie Fowler on Pine Street in Capitol Hill. The dimples! I love the shoes and the sweater. So cute. I'd just like to add, I've been reading your blog for MONTHS. I adore it. 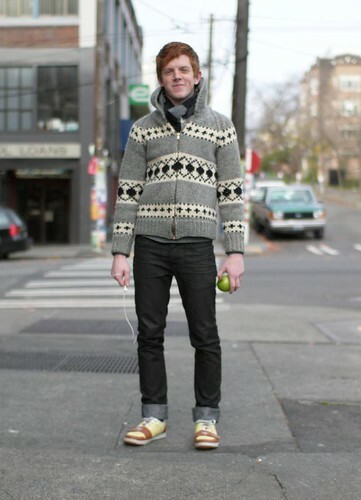 And living less than 20 minutes from Seattle, I'm always hoping to run into you while walking down Pike or Pine. :) You're really inspiring. ps I love your photos.